Join Queens neighbors John Choe (Flushing Chamber of Commerce), Mark Levy (Queens College), Tania Mattos (Queens Neighborhoods United), Monica Montgomery (Museum Hue and LatimerNOW) and Pauline Park (Queens Pride House) as they share personal tales of the inspirational moments that motivated them to work towards creating a more just and inclusive world. This event celebrates the borough of Queens and raises awareness of the important work that’s being done – and that needs to be done. Share your own stories, memories, music, and anecdotes in our Open Mic! The Latimer House Museum is located at 34-41 137th St in Flushing. 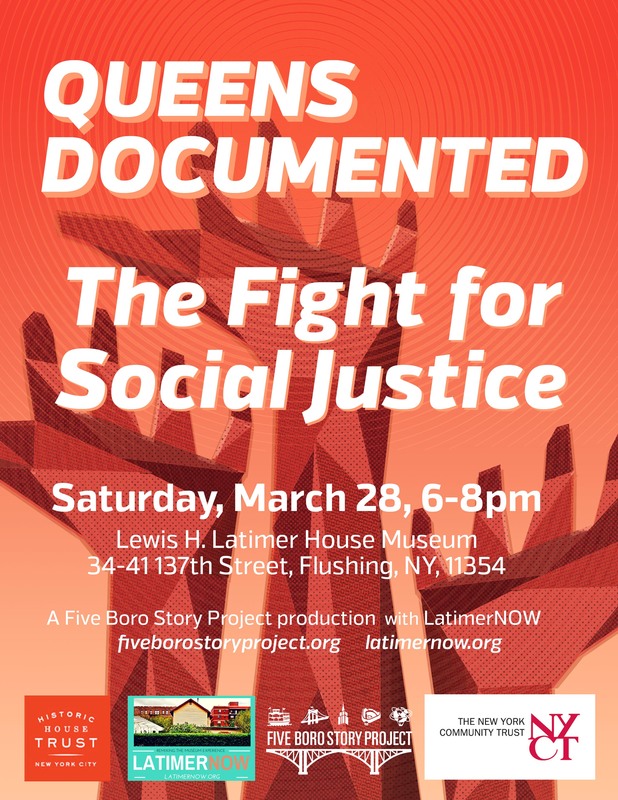 Take the 7 train to Main Street Roosevelt, or the Q25 bus to Linden Place and 35th Ave.
“Queens Documented: The Fight for Social Justice” is part of LatimerNOW‘s Unconquerable Social Justice Salon series. 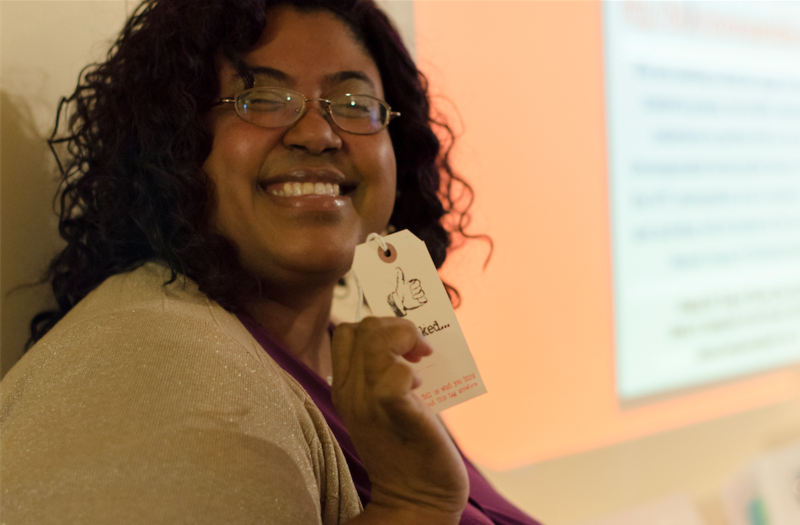 Headquartered at the Lewis Latimer Historic House Museum, LatimerNOW is remixing the museum experience! Highlighting the wonder of creativity, community and identity, LatimerNOW invites diverse audiences to connect with Latimer House the way they connect with their own homes: through culture, foodways, language, and storytelling. We celebrate African American inventor Lewis Latimer’s unconquerable legacy, as a renaissance man, a community connector and active citizen during the early 20th century. View “Queens Documented: The Fight for Social Justice” photos HERE.